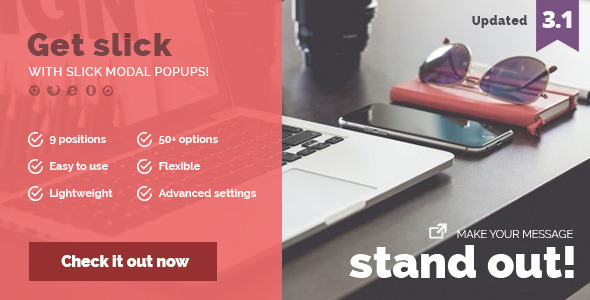 Maximize your promotional performsance with Slick Modal jQuery & CSS3 powered popup. Slick Modal Popup is a great way to display your message. You can insert any code or layout inside it, let it be banners, newsletter signups, contact formss, special offer display, images, galleries, iframe, video, maps and more effectively and with style.